August marks the halfway point of summer, which for most families means beginning to prepare for the upcoming school year ahead. With back to school on the mind, a lot of first year college students will be leaving their nests and venturing off to colleges and universities both near and far. We've rounded up some great personalized gifts that teenagers will love to receive, and fondly remember those friends and family that they leave back home. Graduation gifts are always a very thoughtful and generous way to show someone you are proud of their huge accomplishment, and support their future endeavors. 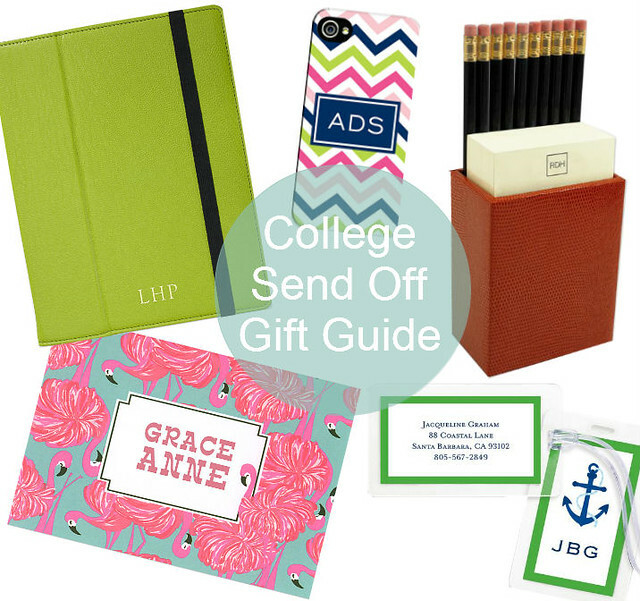 A lot of families will host a going away party for their college freshmen, allowing you a perfect time to give them a great off to college gift! For more great gift ideas, visit Finestationery.com!